Water damage is one of the leading causes of falling home values across the state of Florida, and 911 Restoration Miami is at the forefront of rescuing homes from serious damage. Our water damage Leisure City team is certified to handle any problem. Whether due to inclement weather or plumbing problems, we are ready to rush in repair and restore the destruction. We love to live and work in this special little community. Nestled in the heart of Miami-Dade County, Leisure City is a peaceful little nook that has a rich mixture of ethnicities and cultures. With an average of 62 inches of precipitation every year the citizens of Leisure City will always need a trusted company that can deliver fast water damage restoration services in a timely manner. We respond within 45 minutes of every call and we are licensed, insured and bonded to perform the best restoration services in town. When you experience water in your home, call us today for expert water removal jobs. If your business or home is already dealing with a gray water intrusion, then contact our water damage Leisure City team with 911 Restoration Miami for help today! 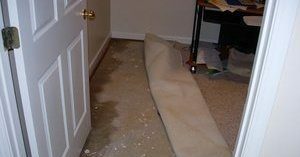 Anytime excess moisture gets into your home water damage can happen and you will need to call our water damage Leisure City crew to address the matter immediately. It also occurs when plumbing issues such as pipe burst, ruptured hoses, water heater leaks, fire sprinkler malfunctions, a toilet overflow, or other plumbing leaks saturate your home with water. Water damage can happen due to rain and inclement weather. When the water gets into the home and is not dried right away, it causes rotting, warping, and mold growth. Overtime, this can weaken your foundation and other important structural components of your house that results in even more damage. It is important to keep your home well maintained. Use sump pumps in your basement. Keep your gutters and downspouts clear. Use sand bags during severe storm warnings to prevent water from getting into your home. When something does happen, call us right away to prevent any further damage. Simple read our testimonials and you will discover that we offer a class of service next to none in job quality and customer service. 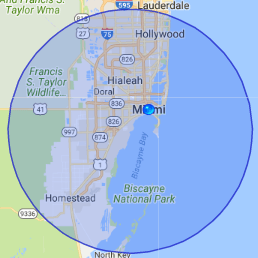 We are available 24/7/365 for same day service, and we use the most innovative methods to repair water damage, so call our water damage Leisure City team with 911 Restoration Miami today! 911 Restoration is the best company because teams like our water damage Leisure City division get perfect reviews from clients and we offer additional perks because we strive to always put the customer first. For starters, we are always working with all insurance companies because we want to file your claim for you. This way it will get done correctly, and you can have more time with your family. In the event you have an out-of-pocket expense, our water damage Leisure City pros offer an affordable price because we understand that families don’t set money aside for household flooding disasters. We value professionalism and always put the customer first, without compromise. Call our water damage Leisure City team with 911 Restoration Miami and let our skilled team give you a free inspection and quote before we begin pumping water from your home as if it was our own today!